It is the soft thing I’ve ever knit and I can’t wait to wear it! That is gorgeous! Love the colours too. 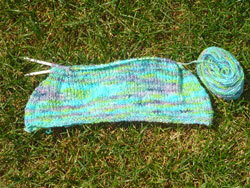 Cant wait to see it finished,i love the colours,i was going to knit one but all it does here is rain.